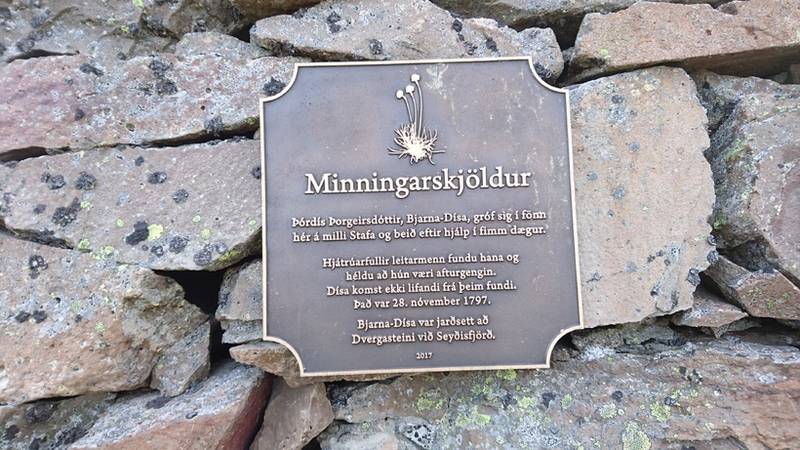 Icelandic author Kristín Steinsdóttir came up with the idea of a memorial for Þórdís Þorgeirsdóttir, a woman who was killed in an East Iceland fjord in 1797 because she was thought to be a ghost. Steinsdóttir feels that Þorgeirsdóttir has been misrepresented in Icelandic folklore and says that she was angry on her behalf. 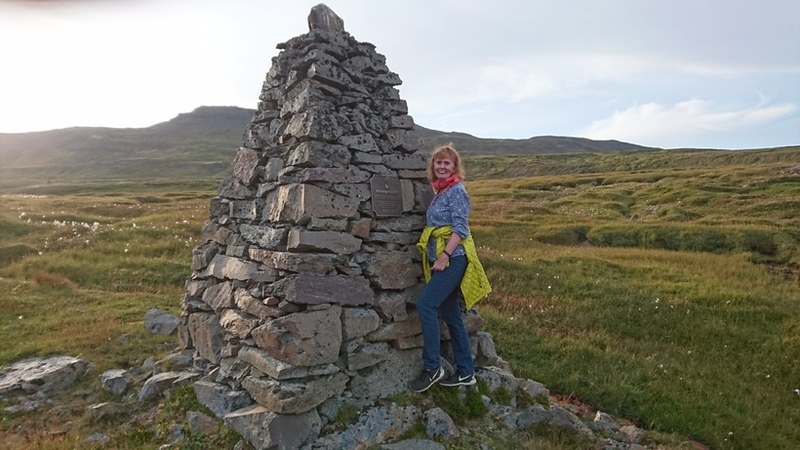 She wrote a nove, Bjarna Disa in 2012 about the story and told the municipality of Seyðisfjörður that she would buy a memorial statue if the book sold well, which it did. Þorgeirsdóttir is said to have haunted the fjord and was considered to be quite a wicked ghost. Her story is a tragic one. "Þorgeirsdóttir was a maid at a farm. She was poor, she was pretty and she liked to dress up. But because she was just a maid she wasn't allowed to be pretty or to dress nicely." "She's described in folklore with such arrogance, like she was this silly arrogant girl trying to dress like the fancy women in international cities. It really annoyed me. I was asked, why would I want to raise a memorial for a ghost? So I replied, well if she was a ghost, she was a person before becoming a ghost. There's a person behind every ghost." Þorgeirsdóttir decided to travel across the Fjarðarheiði heath with her brother Bjarni in November 1797 in the month of November, walking from Þrándarstaðir to Seyðisfjörður. They got caught in a terrible snowstorm and got lost. They decided to bury a hole into the snow to keep warm, a method of survival in these cases, and then her brother Bjarni decided to attempt to reach the next farm. A search party could only be sent out five days later, and included her brother Bjarni. They found Þorgeirsdóttir, or Dísa as she was called, at the bottom of the valley, alive, after having only a bit of smoked lamb and Brennivín (a traditional alcohol) to sustain her. She was extremely weak and looked like she was dead. When she showed signs of life the men were so frightened that they thought she was a ghost, and killed her. She was buried at Dvergasteinn in Seyðifjörður and is said to have haunted people and tormented them since. Her brother Bjarni had thirteen children who all died, and people said that he had been cursed by his sister.